Are dentures a new concept for you? 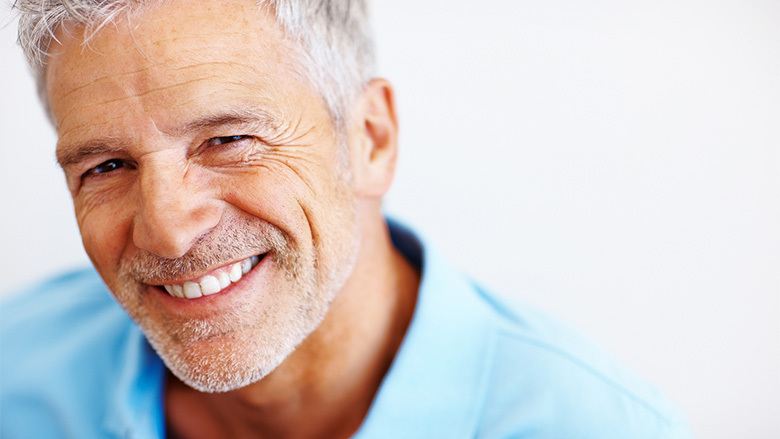 Here are some tips that can help you transition smoothly into wearing dentures. When you first get dentures, it is important that you let them settle in. When eating, begin with soft foods that are cut into small pieces. Learn how your dentures work. It is kind of like learning how to walk for the first time. At first, you may feel a little unsure, but the second step comes more naturally. It is very important to make sure you chew food on both sides at the same time. Try to distribute the food evenly and do not switch sides. This will help the dentures settle in uniformly. When you start feeling more comfortable, you can begin eating harder foods. If you get a sore spot, take the dentures out. Make a solution of warm water and salt or baking soda and rinse. Repeat rinses until the pain goes away. You can wear your teeth again after the pain disappears. Whenever you feel pin, stop wearing the dentures and call your denturist to make an appointment to get them adjusted. It is necessary to wear your dentures for at least half a day before your appointment. This will make it easier to see the sore spots and help with the adjustment. Depending on your specific needs, more than one adjustment appointment may be required. Speaking with your new teeth may be challenging at times. To help your speech improve, read your favorite book out loud. You will continue to get better as you keep practicing. You may find that wearing dentures cause a large amount of saliva to collect in your mouth. It is normal for this to happen, so don’t worry if it does. Your body recognizes a foreign object in its mouth, and the salivary glands are being fooled. Things will return to normal in about a week or two. The most important thing to keep in mind is caring for your dentures. Your denturist will give you a denture brush and bath a cleaning solution. Solutions like “Nova Dent” will clean and disinfect your wearing dentures. Do not use toothpaste on your dentures. They will remain looking clean and feeling fresh on their own. Toothpaste won’t damage your dentures but can remove the high shine from it. The high shine is the protective cover that prevents bacteria and plaque from gathering on the surface. It eventually wears off from normal use, so make sure to see your denturist for an annual check-up. This way, your denturist can examine your dentures, professionally clean and polish them, and ensure they are still functioning properly. If you have just gotten dentures, you may be wondering if you need to take them out at night. Many people feel an attachment to their teeth and do not want to take them out. However, you do need to remove your dentures to allow your gums to rest. Think of it as your nightly routine when you take off your jewelry, watch and shoes before going to bed. If you just can’t get yourself to take them out at night, remove them when you take a shower or bath. Soak them in the cleaning solutions and let your gums breathe. Use a very soft brush and toothpaste to brush and massage your gums. Following these steps will help keep your oral health at its best.